...You will always be my number one! Wearing my white dress on my wedding day made me realize how fast time flies. It was only yesterday when I was sitting in your lap and you, playing with my hair and whispering in my ear how much you loved me. My dear father, from where can I start? Being the woman I am today, I owe it all to you. Growing up showered by your care, having you next to me in every decision I had to take, every battle I had to fight, every beautiful moment I had the chance to live, is a blessing I can never be grateful enough for. On my big day, I saw you standing next to me the way you’ve always had. Putting my happiness first, no matter the compromise you had to do. I knew you were torn with mixed emotions seeing your little girl leave her nest, but you tried to stay strong as a rock and proud like you’ve always been. On my wedding day, I was secretly looking for you everywhere, among hundreds of people. In your eyes I found relief, and when you smiled, everything felt better. How could I reassure you that no one could fill your place in my heart? That even if I was about to start my life with a new man, nothing could replace a little girl’s first love? The moments I awaited the most during my wedding day were the ones I was going to share with you. I wanted no one else than you to walk me down the aisle in my white dress, and no other blessing than yours before I was handed to the man of my life. My gratitude and respect for you were indescribable at that moment. To whom would I offer my first dance other than you? A first dance goes to a first love, and only your arms deserved that honor. My head on your chest, I wanted to make you feel all the love I had for you. I grabbed you strong with the hope that my embrace would betray what words failed to express. In your arms, I danced my single life away, knowing deep inside that even if I was ready to offer my heart to another man, there will only be one hero in my eyes. A hero that will always be my number one. 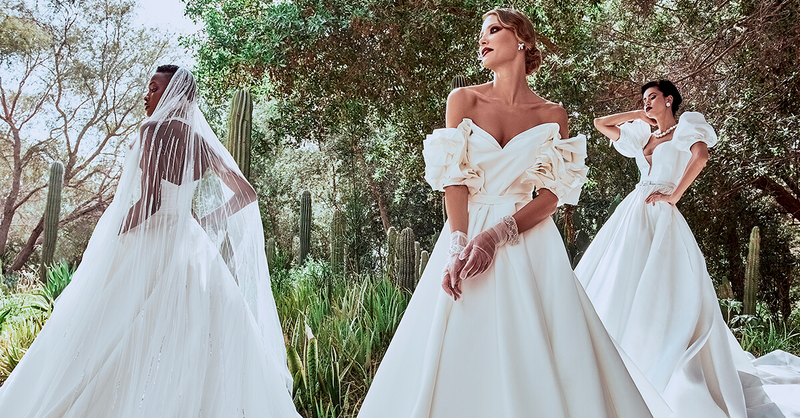 Esposa is a bridal boutique that is all about luxury brands offering every bride-to-be a one-stop store to find and shop her wedding look including her dream gown, the perfect wedding shoes and the accessories that she needs. Esposa Group includes the Esposa Prive stores located in Downtown-Beirut and Dubai where the creations of EsposaCouture and Atelier Esposa are showcased, as well as Esposa boutiques located in Lebanon (Dbayeh and Verdun), and Yas Mall, Abu Dhabi.